Are you sick of my summer pasta recipes yet? Specifically, vegetarian pastas with basil? If you don't like basil or pasta you probably aren't enjoying my blog too much! This summer has been busy and I haven't had time for too many projects around the house but I have been cooking. A girl's gotta eat, right? I first started making this pasta last summer after seeing it on The Cooking Photographer. 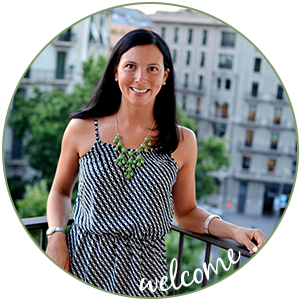 Laura has a wonderful blog and if you like to cook, definitely check out her site. It's one of the first blogs I started to read. Click here to see Laura's original recipe. If this even at all sounds good to you - try it - it's great! Boil the spaghetti according to package directions. Set aside 1 cup of the pasta water when you drain the pasta. Place the spaghetti in a large bowl or return to pot. Warm the olive oil in a skillet over medium high heat, add the diced onion. Season with salt & pepper. Cook for a couple minutes until the onions start to soften a bit. Add the zucchini, squash, and bell pepper and cook for 2 more minutes. Add the minced garlic & cook for 30 seconds to 1 minute until fragrant. Add the mixture to the spaghetti. Add the tomatoes, basil, goat cheese, reserved pasta water & salt and pepper to the spaghetti & toss to combine. Stir until goat cheese is melted. Wait about 5 minutes for the sauce to thicken and serve. This pasta is delicious and is one of my favorite summer meals. It's the perfect way to use all the farm fresh vegetables at the market right now. We love all-things-pasta!! Sounds awesome. I love pasta dishes and that looks really good. I'm not sick of the pasta! Love it!! To answer your question, NO. I love your summer recipes. We eat lots of pasta and veggies, so your ideas are always welcome. This looks yummy. This looks divine! You take wonderful pictures! This looks amazing. at 9am. That should tell you something. And your photog skills astound me. and I love goat cheese. just sayin'. I love pasta salads and I love basil, wish I could grow it year round. I have been doing everything basil right now too. Can't get sick of it. This looks delish. Your photos are sooo appetizing. I love making pasta recipes like yours - it looks scrumptious! This looks fantastic, the photo's are absolutely gorgeous. I think I might try this tonight! Every single thing you do always looks mouth watering. Love your photos. And this sounds delish! 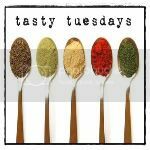 Thanks so much for linkin up for tasty tuesdays! I'm back from vaca! Yah! Oh yummy!! I love goat cheese and all the other ingredients sound great too. We are off to a farmer's market today. I think I know what I'm making! I ♥♥♥ the fresh pasta dishes you have been creating. I love anything with fresh basil. Your pics make it look extra yummy! Who can ever get sick of pasta? Especially with basil? Not me....going to have to try this one as well! basil & pasta = perfection! im going to try this! we have been having a ton of pasta salads this summer- too hot to cook! and my 16 month old stands under my feet if im trying to actually cook at dinner time. so i have been trying to get the job done before dinner! This sounds delicious. Love the goat cheese twist.